In comparison to the other two on test, our third bike comes from a much smaller outfit. 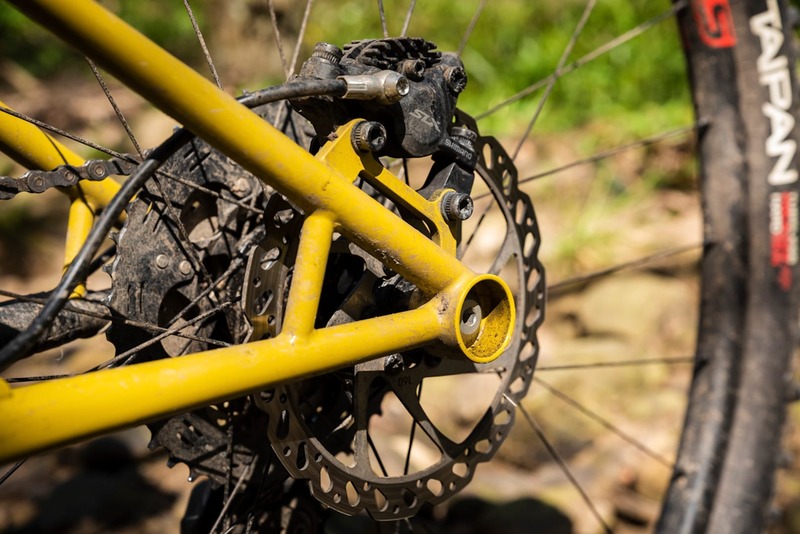 Founded in Dorchester in 2011, Swarf Cycles is currently a one-man show that is owned and operated by a chap called Adrian Bedford – a man who, prior to making bikes, worked in the military aerospace industry designing air-to-air refuelling systems. With an obsessive testing ethic and a keen eye for attention to detail, Bedford made the decision to go full-time with Swarf Cycles in 2014. 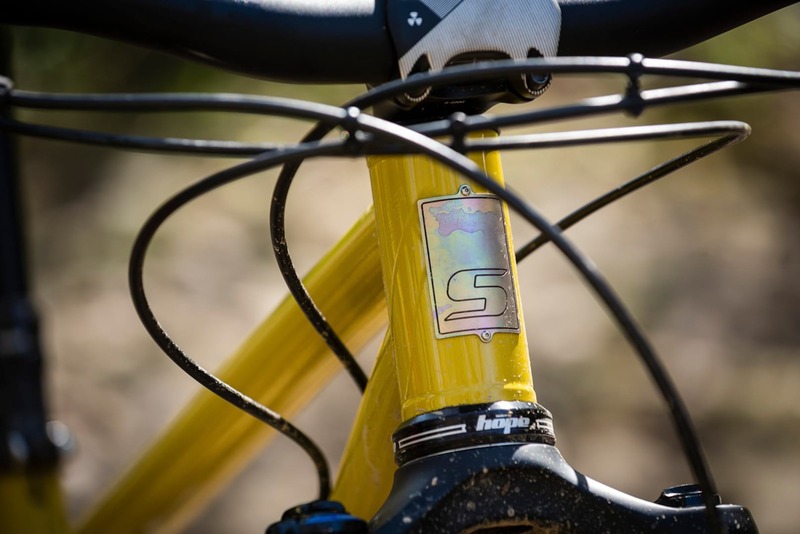 Swarf Cycles is known for steel hardtails, but the new Contour breaks that mould. 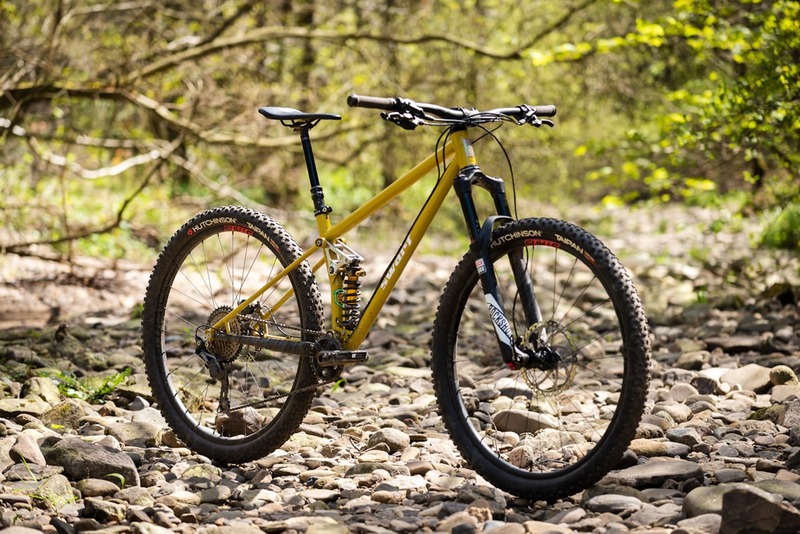 Though the Swarf name is mostly associated with gorgeous fillet-brazed custom steel hardtails, it was actually a full suspension prototype that saw it awarded ‘Best Newcomer’ at the 2014 Bespoked show. Bedford has continued to develop full suspension prototypes in the background, having tested several suspension platforms along with carbon fibre swingarms and rocker linkages. The latest iteration you see here employs a more orthodox design, and it is now available as a fully production-ready mountain bike. Called the Contour, the frame is built around 29in wheels, 115mm of rear travel and a 130mm fork. 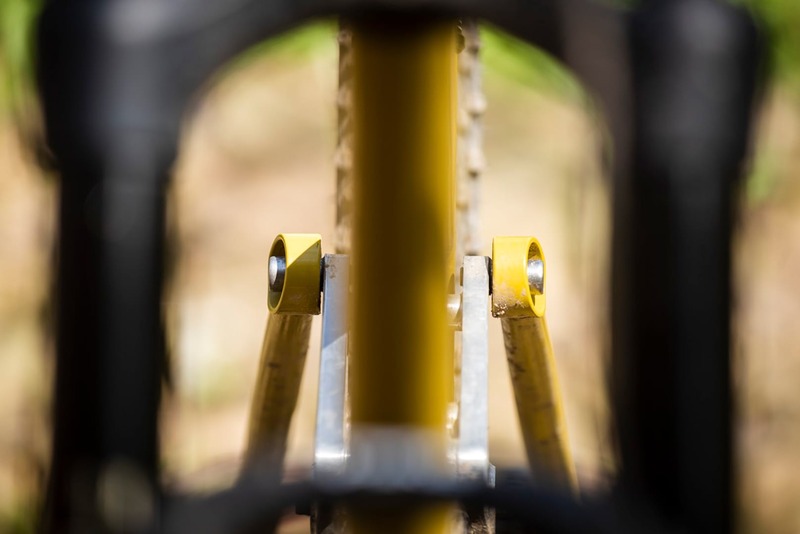 Featuring geometry that leans towards descending good times, the Contour is pitched as a short travel trail bike that’s born to eat up technical terrain. 115mm of rear wheel travel via a CNC machined rocker linkage. The biggest talking point for the Contour is its skinny steel frame, since most modern full suspension bikes are made from alloy or carbon. Bedford claims that steel offers numerous advantages, including high strength, durability and fatigue life. For a small framebuilder working with lower quantities, steel is easier to weld than alloy and it also doesn’t require heat-treating. The Contour is available as a frame-only from £1,950 with a RockShox Monarch shock, with three colours across four sizes covering Small through to X-Large. The Contour combines the classic steel aesthetic with modern geometry and 29in wheels. Everywhere I’ve taken the Contour, riders have commented on the look of its straight, slender tubes. 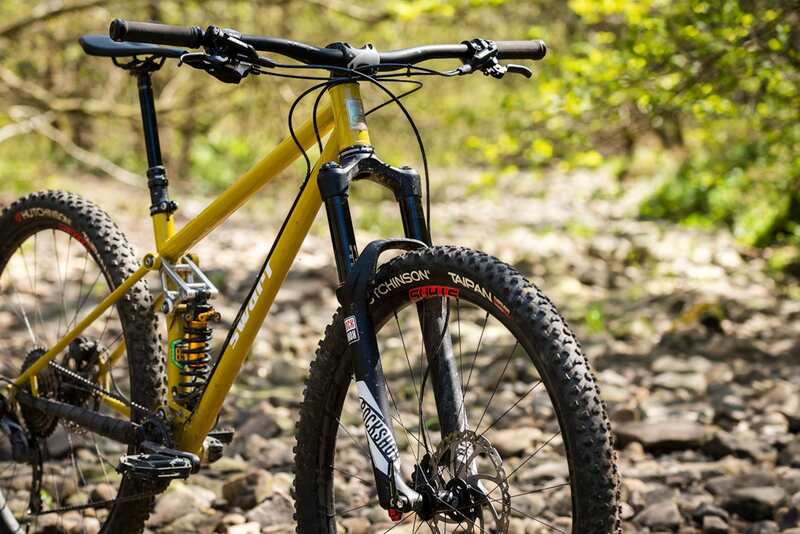 The frame certainly has a classic, almost retro, look about it, with smooth and aesthetically pleasing lines that differentiate it from today’s cookie-cutter carbon bikes. Bedford uses a combination of Reynolds 853 and 631 tubing for the mainframe of the Contour, while the back end is cromoly steel. With the exception of the Dedacciai chainstays, all the steel is sourced in the UK. The CNC machined components come from Leighton Buzzard, which includes the dropouts, rocker links, rear thru-axle and stainless steel pivot hardware. Readily available double sealed cartridge bearings are specced for all the pivots, so you’re looking at around £30 to replace the whole set. The frame is all-steel, except for that shiny alloy rocker. Steel hardware, double sealed bearings, full-length external cables and a threaded BB. 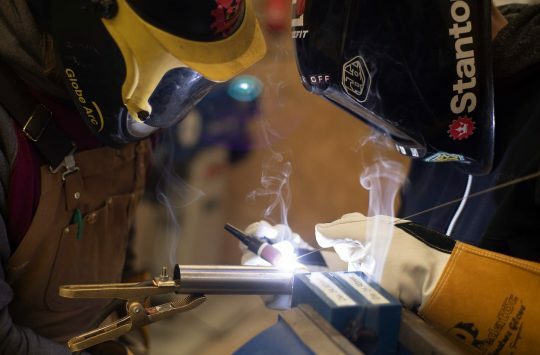 To speed up the build process, the frame is TIG-welded rather than fillet brazed like other Swarf models, and geometry is pre-set rather than being custom for each bike. Each frame size is designed to be paired with a 35-45mm long stem, and features a 66.5° head angle, a 75.5° seat angle, and a 41mm BB drop. 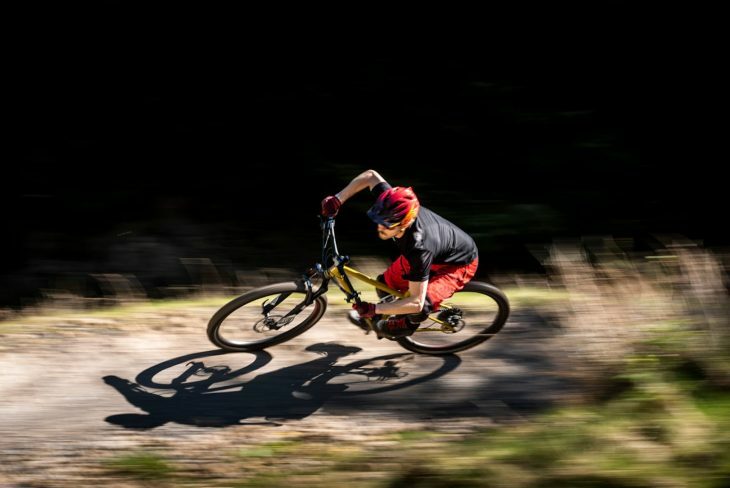 Our Medium test bike has a 438mm reach, which produces a reasonably upright and comfortable riding position with the steep seat angle. Should you wish for more length, Bedford has designed each frame with a short seat tube to facilitate upsizing. 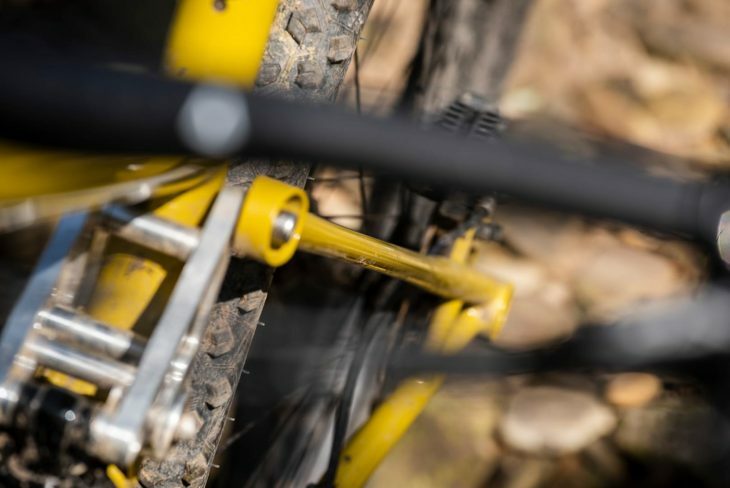 Even so, the Medium still covers a good contact patch on the trail, with its stable 1189mm wheelbase bolstered by a generous 445mm chainstay length. 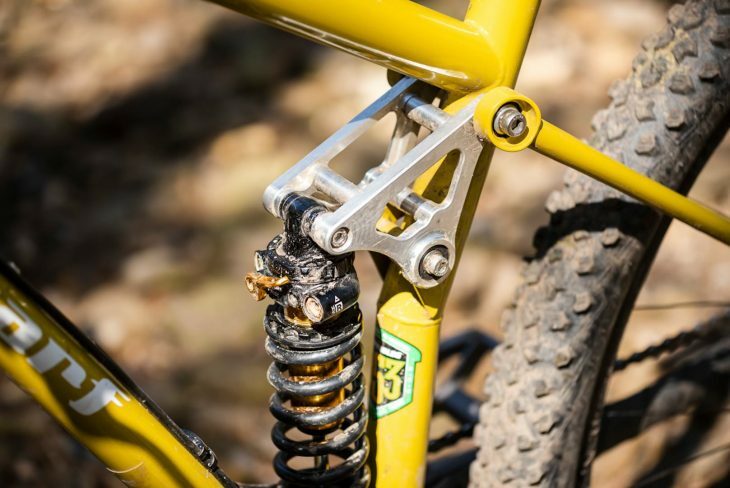 The 130mm travel fork kicks the head angle out to 66.5°. Out back, the rear suspension design is a linkage-activated single pivot, with a rigid swingarm that is devoid of any pivots around the rear axle. Instead, the thin and flattened seatstays are engineered to flex a couple of millimetres as the suspension cycles through its travel. The simple design results in fewer moving parts, and it’s a technique that’s already been proven on other carbon and alloy frames from mass-produced brands such as Cannondale and Scott. The rocker link set-up achieves a progressive leverage rate, which means the Contour is compatible with both big-can air and coil shocks. You can’t fit a piggyback shock though (due to clearance limitations), but the vertical shock orientation does allow a water bottle to fit inside the main frame. Other details include external reinforcing rings around the 44mm head tube, a forward-facing seat tube slot, and tidy cable routing with bolt-on guides. There’s good mud clearance with room for up to 2.5in tyres, and you’ve got nice, ‘normal’ standards like a threaded BB, 142x12mm spacing (Boost is an option though) and a non-metric 200x51mm rear shock. It’s a single-pivot design, with the seatstays flexing slightly through the travel. The flattened shape encourages vertical deflection. Room for a water bottle? Check. The Contour I’ve been testing is Bedford’s personal bike, which is made up with an eclectic mix of new and old parts, along with a set of wheels and tyres that I’m testing separately. Since Swarf will mostly be selling frames on their own, I won’t go into detail about the parts. Instead, let’s have a closer look at that steel frame and how it rides eh? The Contour is nice and whippy at speed. 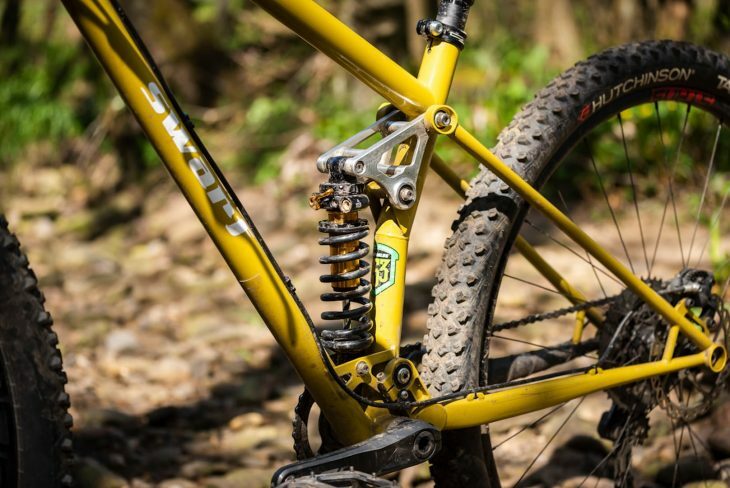 Admittedly my relationship with the Contour got off to a rocky start when the original Cane Creek DBair [IL] shock began weeping damping oil all over itself on the fourth ride. I received a replacement shock along with a secondary DBcoil [IL] shock, so I could sample both options. 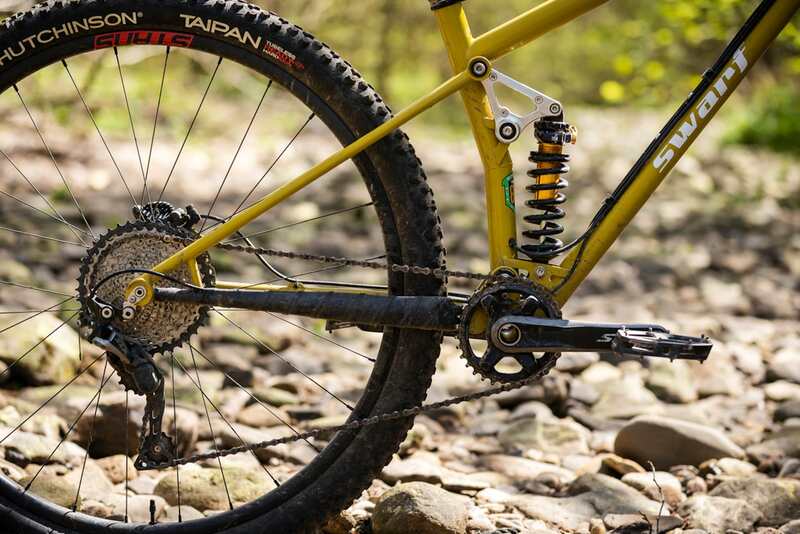 With no fewer than five damping adjustments, the Double Barrel shock can be intimidating to set up. 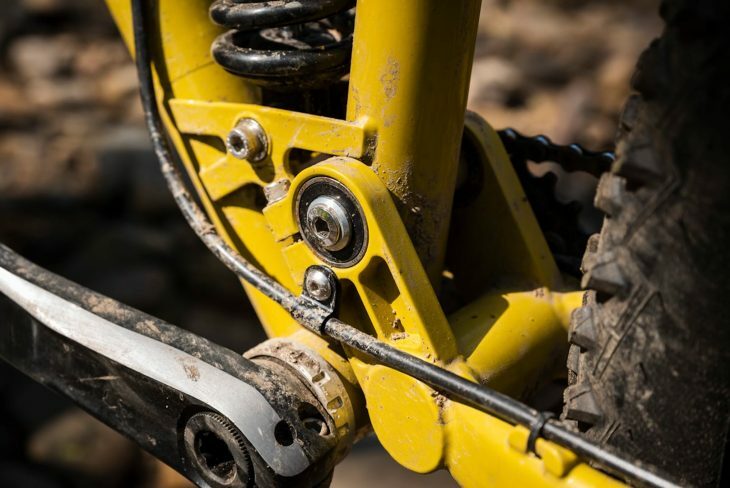 Cane Creek has a useful online tuning guide though, and once I’d set sag to 30% and dialled the compression and rebound adjusters to Cane Creek’s recommended settings, the rear suspension felt spot on. Though both shocks worked exceptionally well, I must admit that I preferred the buttery performance of the coil shock, so I ended up leaving it on for the remainder of the test. Aside from an additional turn of high-speed compression damping, I otherwise left the base settings as they were. We tried both air and coil shocks on the Contour. More compliant wheels transformed the Contour’s ride quality. Despite the suspension feeling sorted, the Contour still felt harsher than I was expecting. 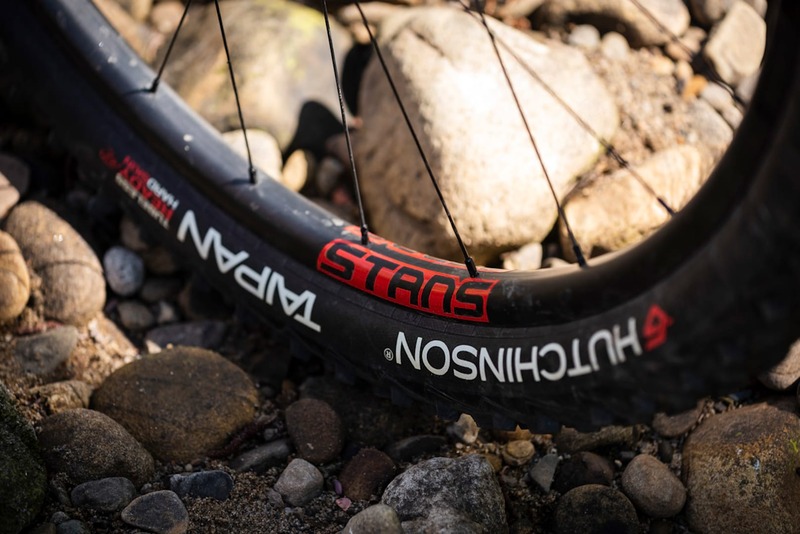 I tracked this down to the stiff Chinese carbon rims that the bike came fitted with, which I swapped for a set of much lighter and more compliant Podium SRD wheels from Stan’s No Tubes (full review here). The difference was night and day, with significantly more damping available at the bike’s contact patches. Once set up to my tastes, the Contour sprang to life, establishing itself as a very comfortable, and very smooth bike to ride. Bury this bike into a fast section of roots, and the sinuous frame slides down the trail with incredible speed and grace. The suspension feels supple and controlled, and if I hadn’t known, I would have sworn there was more than 115mm of travel. 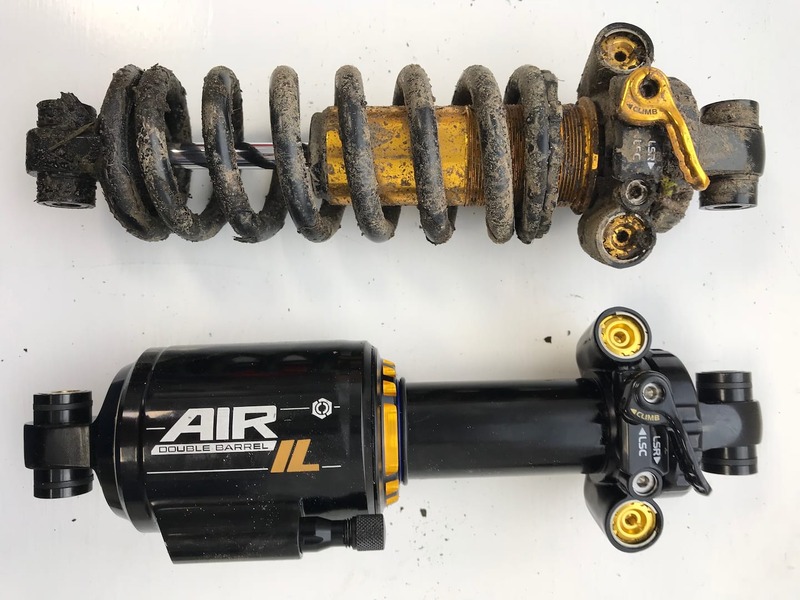 The coil shock is superb, but the level of compliance on offer clearly comes from more than just the rear shock, with a noticeable amount of flex present through the back end. And when I say flex, I mean the good kind. The kind that gives the Contour that lovely ‘sway’ you get from a nice steel hardtail when you’re swinging from apex to apex on the trail. 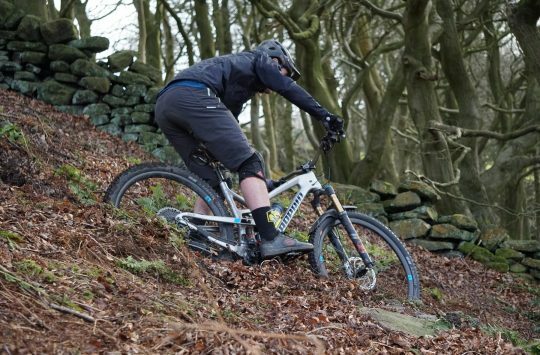 This compliance also allows the rear wheel to track rough terrain with greater control, so rather than pinballing you around on chundery rock gardens, the rear end is able to twist and contort ever so slightly to soak up off-camber impacts before they reach the rest of the chassis. I found I could ride some pretty ugly trails on the Contour, and it had a cunning knack of keeping the front wheel pointing ahead on my chosen line. 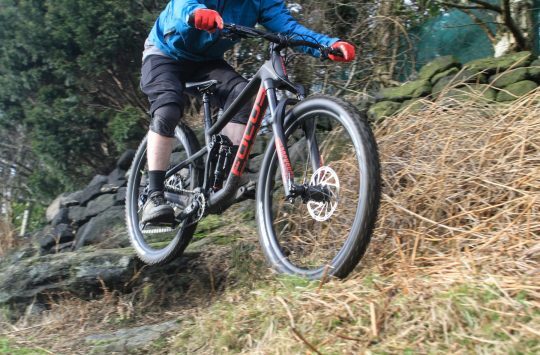 The long wheelbase also helps with stability, giving the Contour a hunger for technical trail riding. There is good flex, and bad flex. This is good flex. The downside to the steel frame is that it’s noticeably heavier than the other two bikes on test, weighing in at 3.84kg (8.5lbs) with the coil shock. Even with an air shock it’s still portly, and the added inertia is noticeable when starting from a standstill or when the gradient starts to climb upwards. The Contour is OK for pedal efficiency, though the active suspension bobs while you’re cruising along on smoother surfaces. It isn’t a big deal, though for extended climbs using the gold climb switch on the shock proved to be a useful pedalling aid. On a side note, I did find bulkier knee pads could sometimes catch on the upper seatstays while pedalling seated, which was mildly annoying until I subconsciously adapted and forgot about it. Watch your knee pads on the upper pivot. When you’re properly on the gas though, there is just enough anti-squat built into the suspension design that the shock firms up a touch to keep you rolling ahead with momentum. That said, there’s nowhere near as much pedal feedback as I experienced with the Orange, so while the Contour isn’t as sprightly, it remains much smoother and calmer when things roughen up. And that is clearly what this bike is designed for. It may look a little retro, but the ride is anything but. 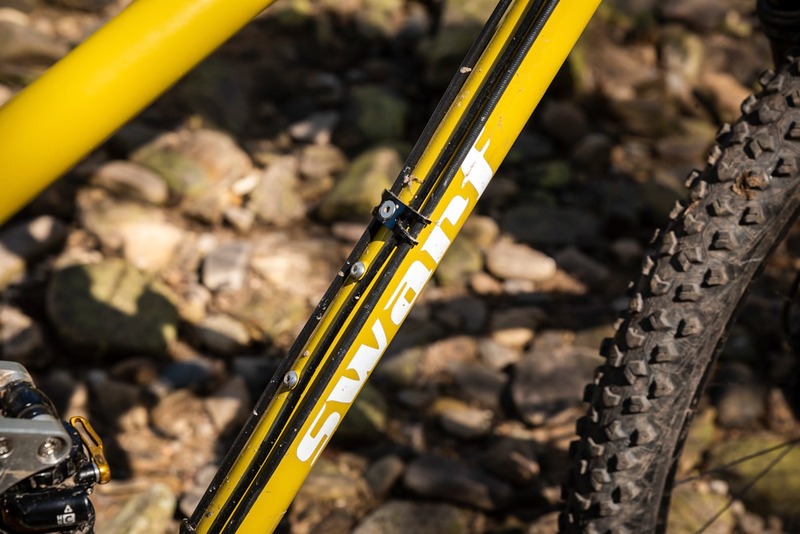 For Swarf’s first production full susser, the Contour has been beautifully executed with classic styling and a unique personality derived from its slender steel construction. 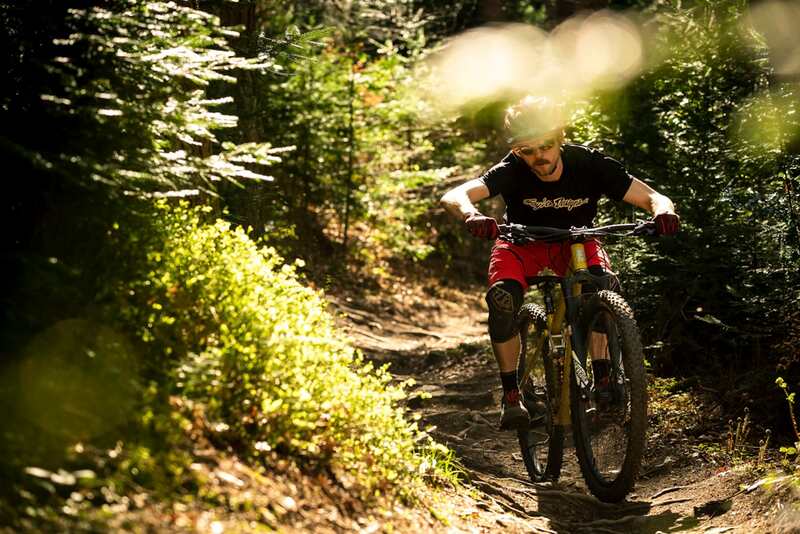 It isn’t a light or overly enthusiastic bike for riding buffed out trails, but that’s not where it’s designed to shine. 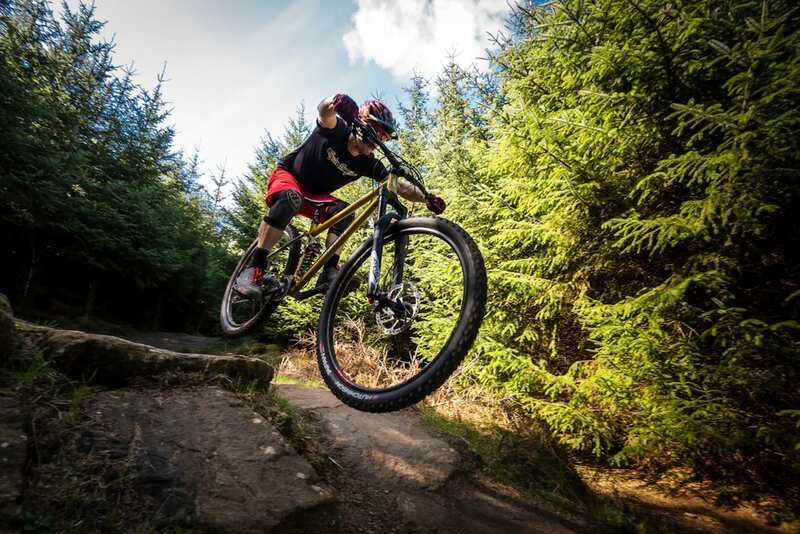 It’s a bike that thrives on rough and technical singletrack, where the supple suspension, compliant frame and steady geometry allow you to get away with a lot for its 115mm of travel. Factor in the tough and durable steel frame, and there’s plenty to like about the Contour. It is neither light, nor cheap. But to judge it so would be entirely missing the point. 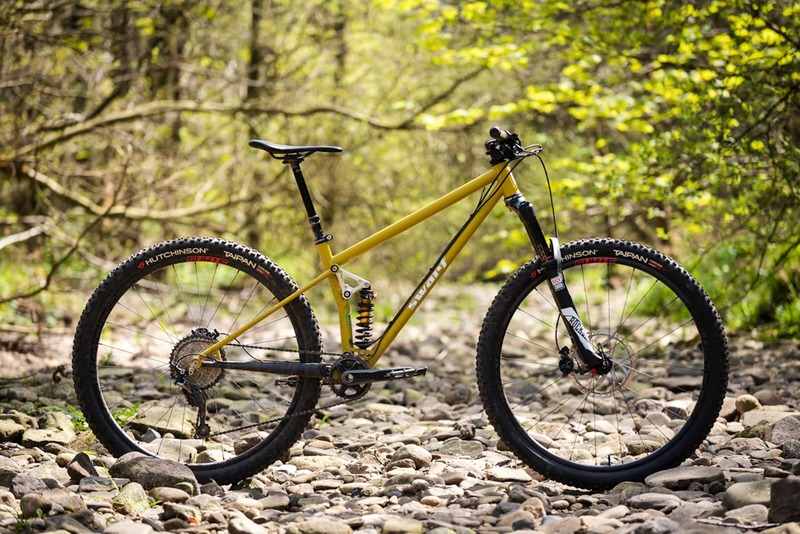 This review was published in Issue #119 of Singletrack Magazine as part of our UK-made full suspension group test. Keen to read more? 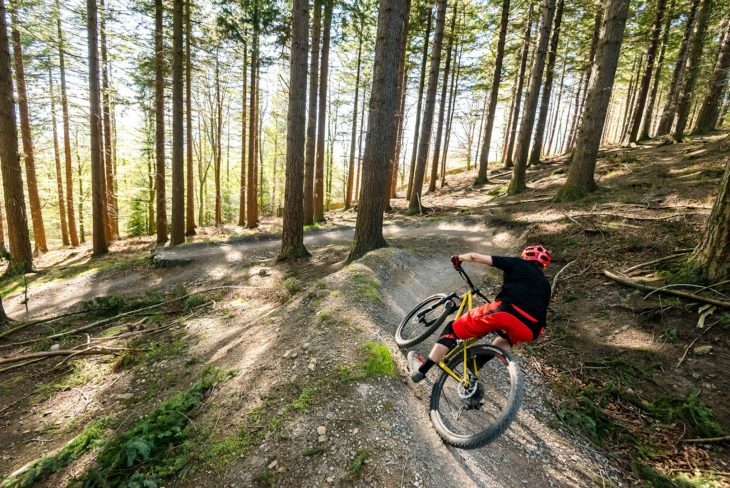 You can check out all of the stories and features from Issue #119 of Singletrack Magazine right here. Maybe 8.5lb frame but 30.67lb overall build weight sounds alright to me…i was expecting worse given frame weight! @nuke – Bear in mind those Stan’s No Tubes Podium SRD wheels are very, very lightweight at 1300g! I was super impressed with how well they rode in more of a trail bike application, given they’re designed for World Cup XC racing. Even though I rode like an absolute hack on them, they somehow stayed in one piece too. Outside of the wheels though, nothing else on the build kit you see here is particularly weight-obsessive. The SLX drivetrain and alloy cockpit are on the robust side, so there’s more weight to drop there if you wanted – I reckon sub-30lb would be pretty doable. I was lucky to get one of these in the first production run. I have the dbAir shock and a Helm fork and the suspension is pretty awesome especially for a big heavyweight such as myself. I have a pair of Stan’s Arch rims and a mostly SLX groupset. I haven’t weighed the bike – my guess is it’s about 32lbs including pedals etc – but it doesn’t feel at all heavy. In fact after half a dozen rides I’d say it’s one of the absolute best bikes I’ve ever owned. Totally love it.